Runnerpeeps is a group training program for runners and triathletes, yet it is more than running. The Peeps are healthy, lively and supportive members of our community. They are fun to be around and supportive of newbies. They strive for balance and make time for their families, friends, careers, and hobbies. Runnerpeeps push themselves to achieve their goals, but they also take time to encourage others to be their best. Runnerpeeps offers an unmatched value for runners. It’s a complete 12-month training community with weekly hosted workouts, lots of supportive banter and proven training plans for running, strength, agility and stability. Our plans are geared toward new and experienced runners alike. Receive lots of group encouragement and support to help you reach your goals. Become part of our community of athletes who give back: Runnerpeeps coordinates race volunteering, donates to local charities and more. It’s a terrific value! Cost is only $30 for a full year of training, racing and getting crazy fit with a fun group of Peeps. Cost = $30/year; you can join anytime! 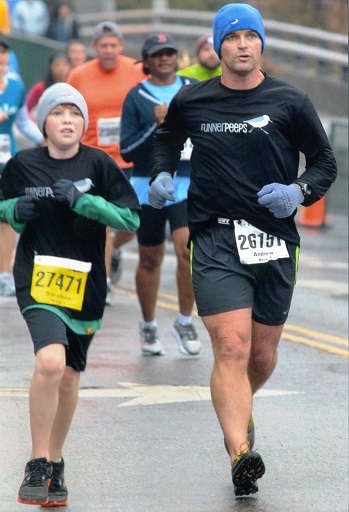 Runnerpeeps is owned and managed by Steph and Andrew Jeffries and is based in Raleigh, NC. About Andrew: I’m a USATF-certified coach, with more than 30 years of running experience and 10 years of endurance run coaching experience. I’ve coached over 350 athletes in either group or private training — many to podium finishes, personal records and new endurance achievements. Many others have successfully completed their first races in my program and ignited their passion for distance running and triathlons. I’ve completed dozens of marathons and half marathons, 10K races and lots of wacky trail races. For many years I was an avid triathlete, with multiple half ironman triathlons and 60+ sprint and Olympic distance triathlons. Balance. And, that means life balance – healthy, well-balanced lifestyles. Time for family, community, friendships, spirituality, and other interests outside of running. 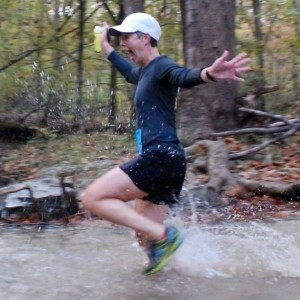 About Steph: I love to run trails, eat cookies, and encourage our Peeps. Umstead State Park and the Mountains-to-Sea Trail are my favorite places to run. 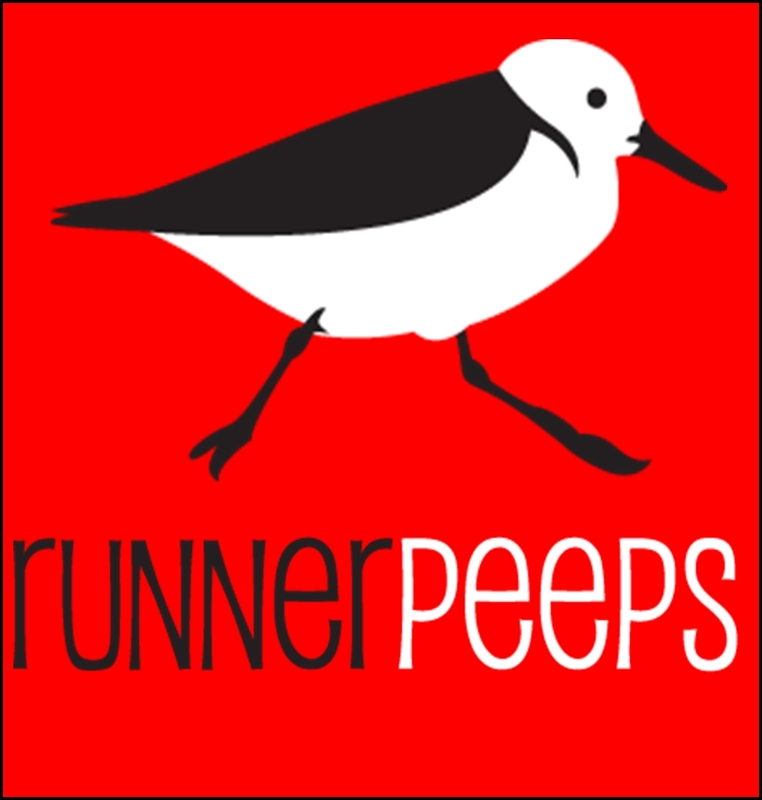 I also manage our Runnerpeeps communication, volunteer, and social activities. I badger folks to do crazy trail races, silly workouts, and team events. Personally, I run for fun and cherish adventures with friends. I completed my first ultra-marathon distance in 2012 and love running long, but I mix up distances and venues to keep balanced. I’m not a coach, but I’m happy to share my experiences with Peeps who are trying something new. Nothing excites me more than seeing one of our athletes achieve something they didn’t think was possible. You can read about my haphazard running adventures and other foibles on my blog, www.stephjeffries.wordpress.com. Is Runnerpeeps a training program? Absolutely. Runnerpeeps offers a great set of weekly workouts and proven training plans to help you train for an entire year with us to get in crazy good shape and have fun. Our community is an awesome group of supportive, talented and friendly fellow runners, triathletes, cyclists, swimmers and more. Definitely. Many athletes renew year after year simply because of our welcoming, supportive community. They value Peeps Life--our efforts to enrich our community through volunteer efforts, our donations to local parks and greenways and the Junior Peeps training programs we offer to kids each year. Some athletes join Runnerpeeps simply for our fun atmosphere. We try to coordinate social activities throughout the year. We thrive on chatter and lively banter through email and social media. We call it "the buzz;" working hard to keep every single peep engaged, encouraged, doing their workouts and improving their fitness. These diverse training plans are tested and refined from successfully coaching hundreds of athletes over many years. These plans address the needs of beginning runners to highly experienced, talented athletes who seek a competitive edge. Each year from 2013 to 2018, we have donated funds through our Runnerpeeps Mileage Challenge to Raleigh Parks and Recreation. For these monthly mileage challenges, we donate a penny for each mile run of every runner. These are terrific member-led challenges and we love the commitment that our members have made to make this campaign successful. Through the program so far, we have paid for several park benches on local Raleigh greenways. We’re tremendously proud of this program and appreciate the hundreds of thousands of miles that our Runnerpeeps ran and reported each month. Each year, we organize groups of Runnerpeeps to volunteer at various local races. It means a great deal to us to support our local events, support and cheer athletes who are racing. We’re typically the loudest, most festive and supportive aid station and love that athletes tell us how much our cheers and support mean to them!